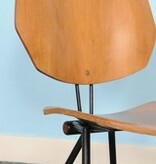 Model S 88, designed for TECNO in 1957. 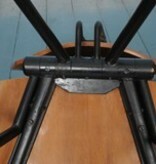 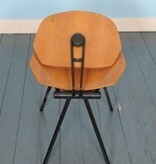 Rare side chair with folding legs and back. 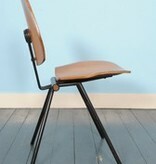 CONDITION: Mint condition (never used). 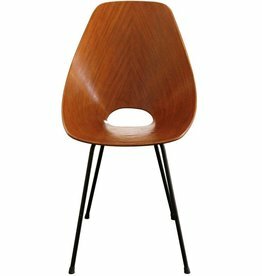 Great 3-legged TECNO side chair in walnut veneer. 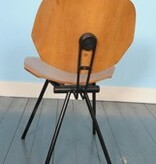 This chair comes from an old stock and has never been used. 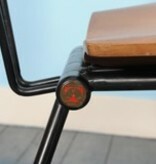 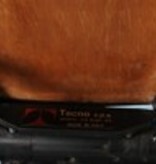 Chair has a branded TECNO stamp on the back. 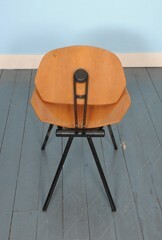 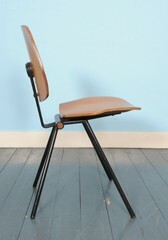 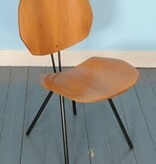 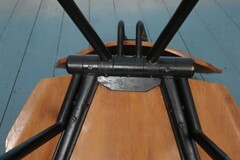 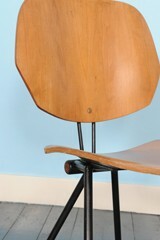 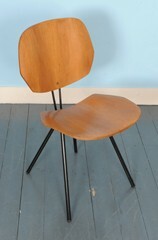 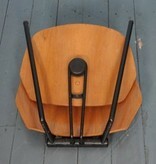 Toby stacking chair, early's 1950's, for Morris & Co LTD in Glasgow. 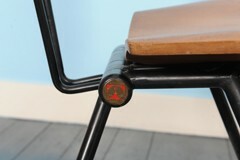 Laminated wood with painted steel rod. 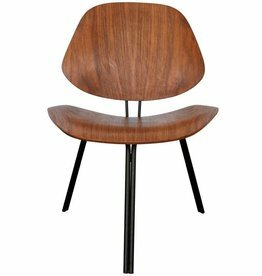 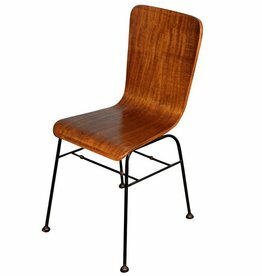 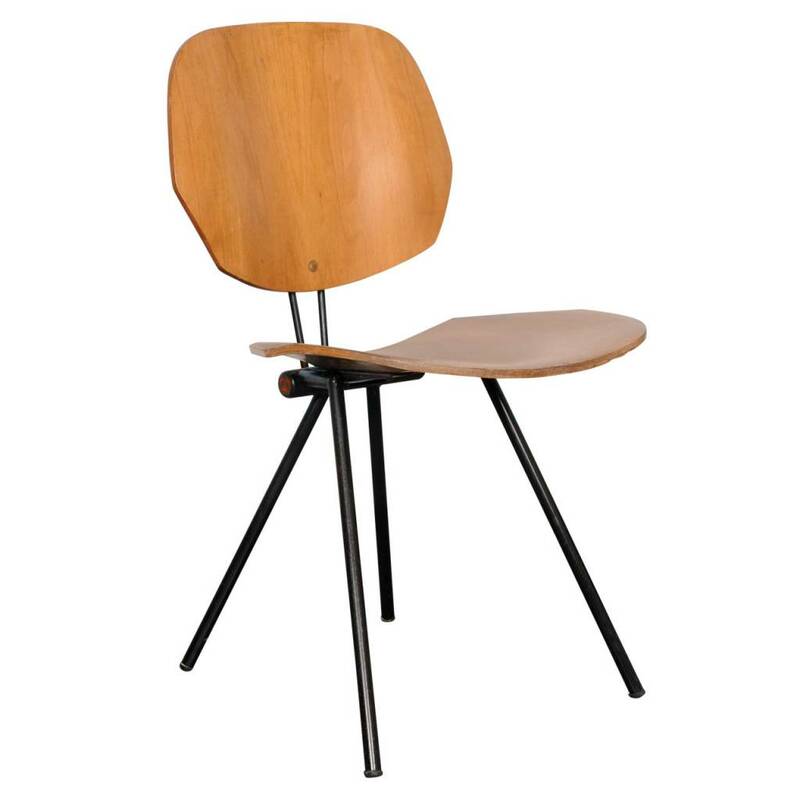 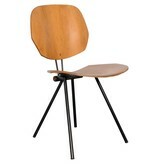 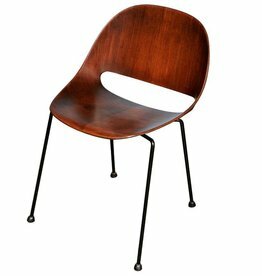 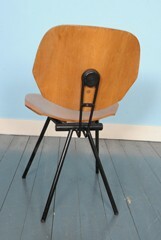 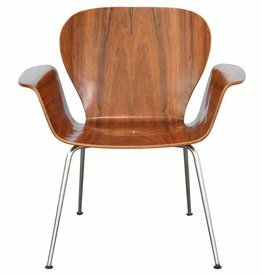 (this chair has been derived from the original Bambi chair from Han Pieck). 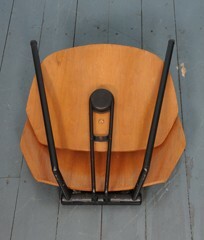 2 pieces available.